TSI is the Montana shipping company you can trust. As experts in the shipping industry, we provide you with a seamless and transparent process. We help thousands of families and businesses across the nation every year. Let us help you. Why is TSI the right Montana shipping company? We’ve been in the moving and shipping industry since 1989. We know exactly how to simplify complicated shipping problems and get your items to or from Montana quickly. If you want simple, affordable, headache-free shipping solutions, TSI is your best bet. We pride ourselves on providing unbeatable customer service. Our representatives are friendly and knowledgeable, so they’ll be able to assist you with everything. From the moment you request a quote to your timely delivery, our customer service representatives are here to help you. We understand shipping can be stressful. That’s why we make sure you’re in the loop. We stay in constant contact with our carriers so you’ll know exactly where your shipment is in the supply chain. Take advantage of our extensive carrier network when shipping to Montana. We’ll get your goods to their destination safe and sound. Save some extra cash with our pack-it-yourself Economy option. 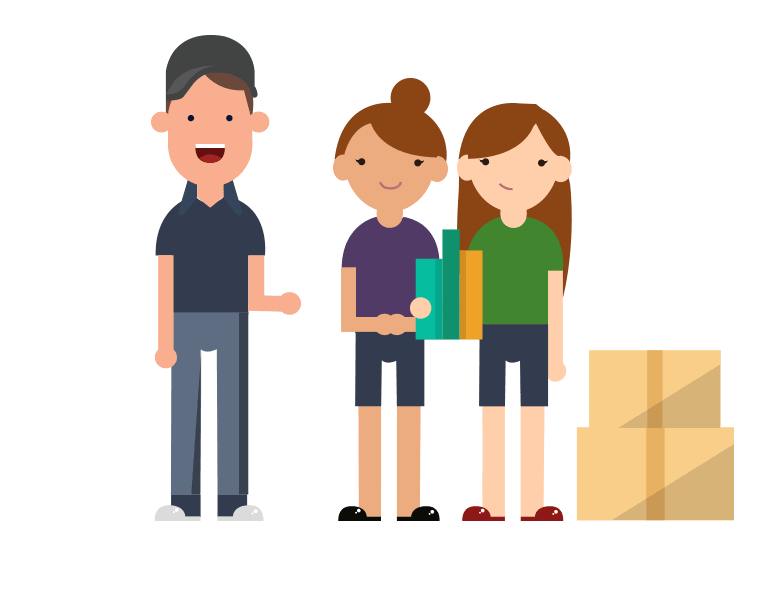 You pack your goods yourself, using our tips for packing. Then, help our driver load your items onto the truck. Upon arrival, your goods are dropped off curbside. Simple. Ask about our Economy Select and Economy Plus packages if you're on a tight schedule. Relax and let us take care of everything for you. With our White Glove service, a two-man moving team comes into your home, ensuring your goods are ready for transport. They load everything onto the truck and head toward your destination. When they arrive, sit back and relax while they unload your goods. Just tell them where you want your items placed. Really simple. The antique secretary I had shipped from Minnesota to Texas arrived in perfect condition. The "White Glove" package was excellent. Everyone involved provided friendly, professional support. Nice phone service, very polite and efficient delivery men. I contacted your company after several of the big name companies would not pickup, package and ship my wheelchair. TSI had no problems with handling it and even gave me a 10% discount on the price. Thanks so much to my moving specialist, it was a pleasure dealing with her and TSI. Get a quote online now. Or call our Montana shipping specialists at 1-800-626-1257 to get started.